Happy Easter Everyone! 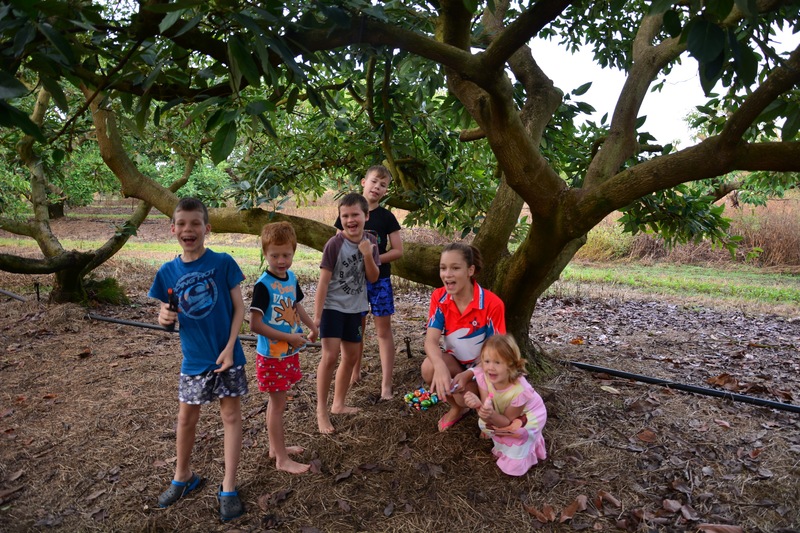 I know I have been ‘MIA’ this last month and I have heaps to fill you all in on, but this is just a short post to pop back in, say hi, share some Easter spirit from our neck of the woods and see what everybody else got up to for Easter. Due to the fact that Bub No 4 is scheduled to arrive on the 27th of April, we decided to stay close to home over Easter this year just in case he/she made an early appearance as the brother’s and sister had done, but it seems this baby already has a mind of it’s own and has already broken the ‘longest pregnancy’ record for this family! We had a yummy lunch on Good Friday of prawns and delicious cold meats and salads (big thanks to my Mum who bought all the food over with her so I didn’t have to do much at all!) with Ma & Pa (my grandparents), Grammy & Grunda (my parents), the Tronson Family (cousins) and 3 of the workers who are still here at the moment. 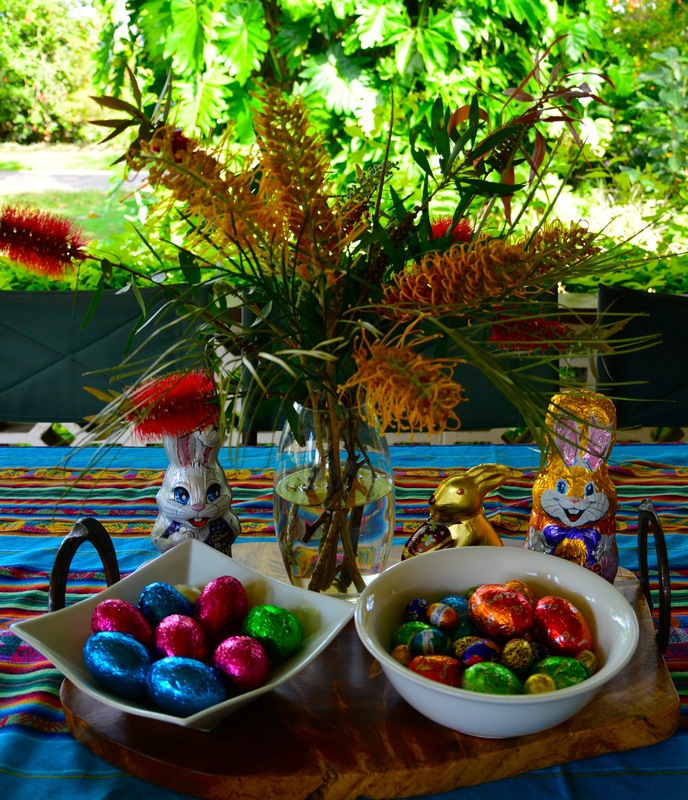 It was a really great feast and we did break with tradition a little and have a few sneaky chocolate Easter eggs and a Rocky Road Bunny with Banana Cake and Cheesecake for dessert – yum! Unfortunately I really am slipping and didn’t get any photos of lunch! Saturday was a lovely rest day with an afternoon swim at Davies Creek. 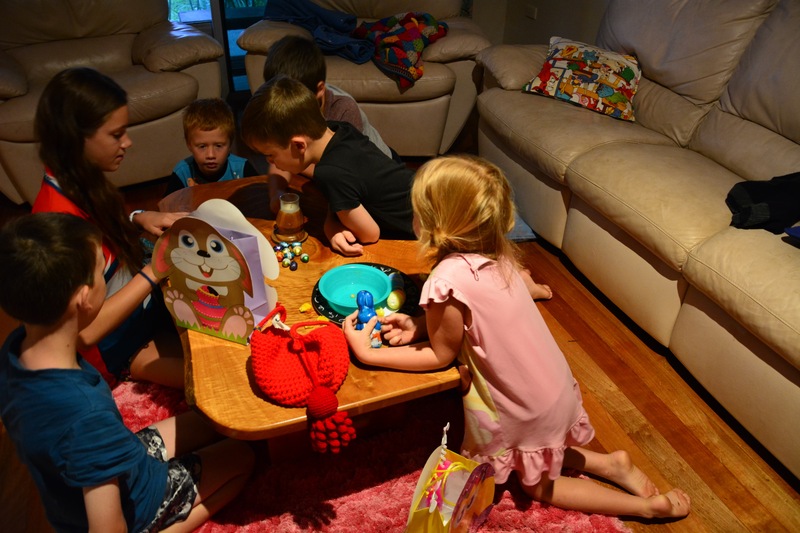 We had the Tronson Family staying with us for the weekend so the kids had lots of fun playing together and we all took turns snuggling puppies! 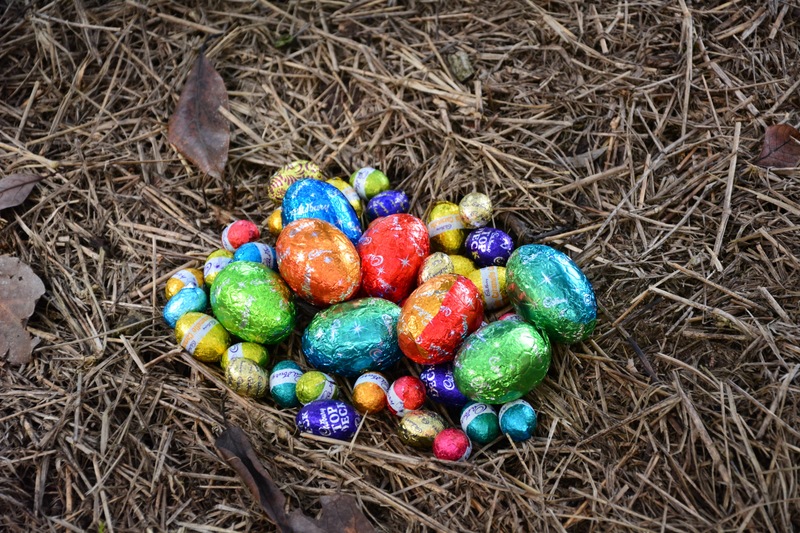 Sunday was of course all about the Easter Bunny and hunting for Easter Eggs! 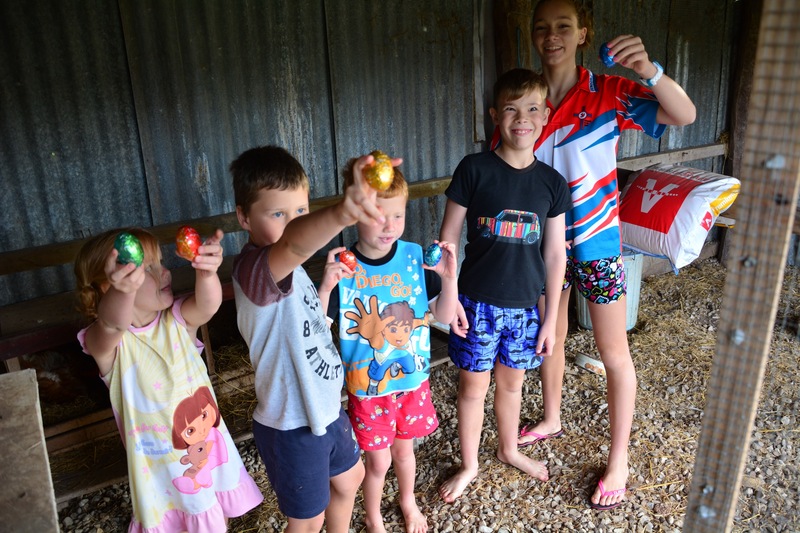 The kids have very vivid memories of the ‘infamous’ Emu Park Easter egg hunt with the buried chest of eggs on the beach, so that one is very hard to top, but we did our best with this year’s hunt! 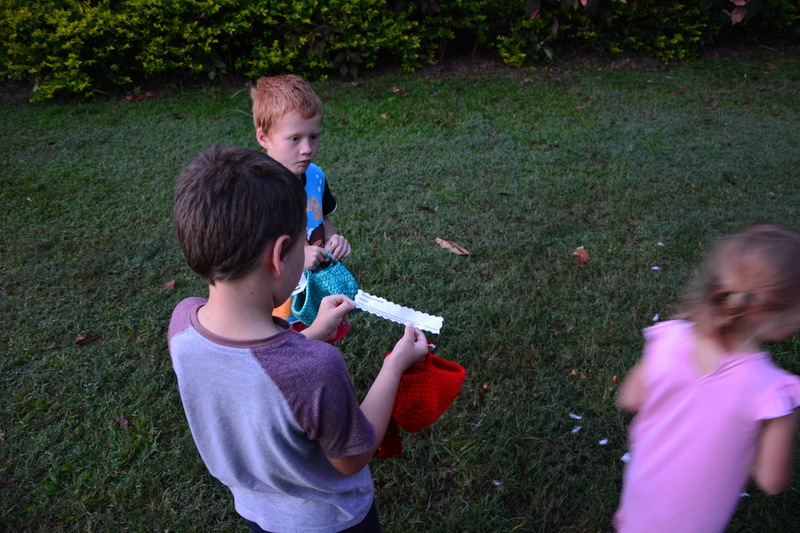 The kids checking out the carrot and fluff left by the Easter Bunny along with their first clue! 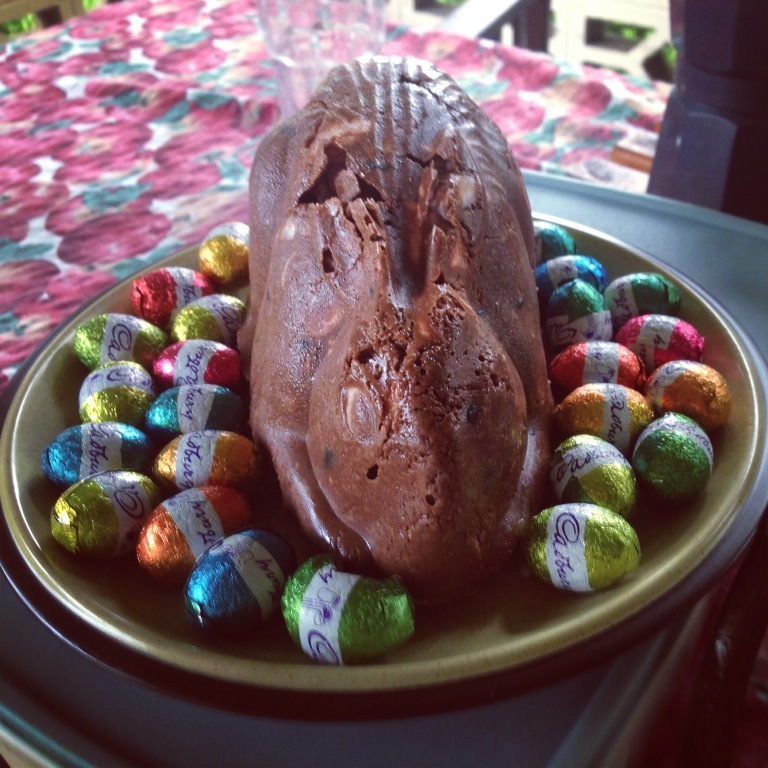 Over to the cottage to enlist the help of the Tronson kids and see what the Easter Bunny had left over there! 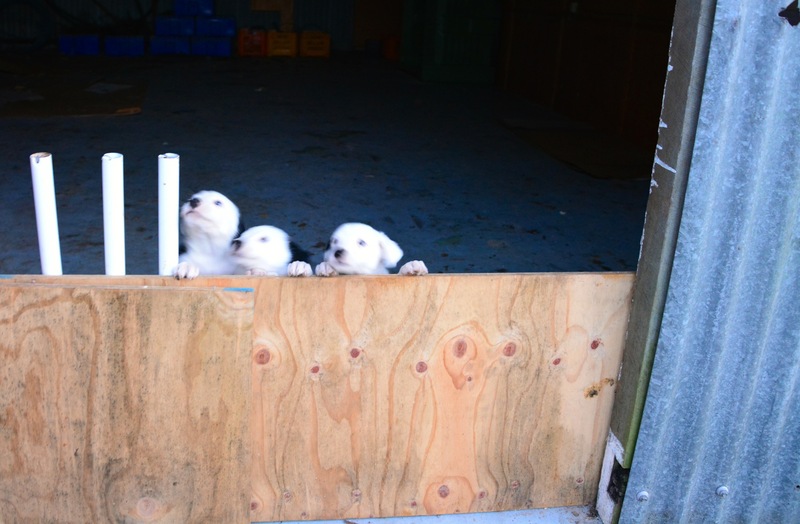 Three little puppies wanting to join the hunt too! 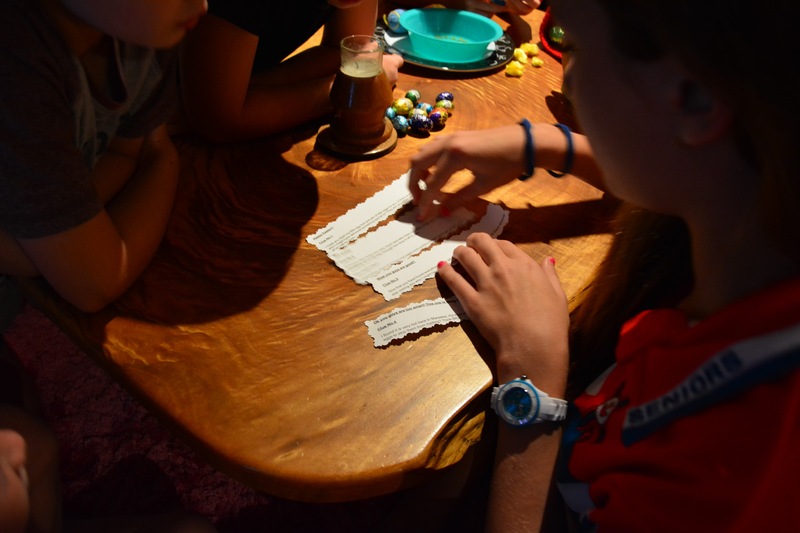 Pow Wow time over the clues! Hooray! 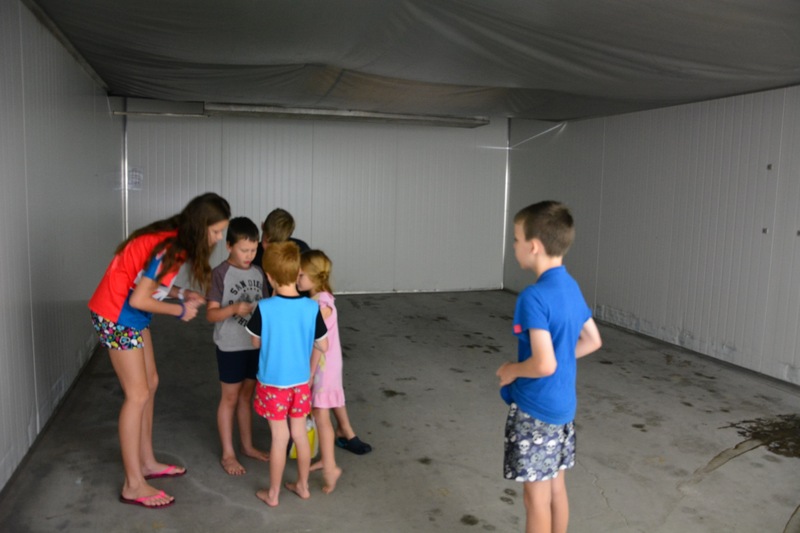 Some eggs and another clue successfully located in the cold room! 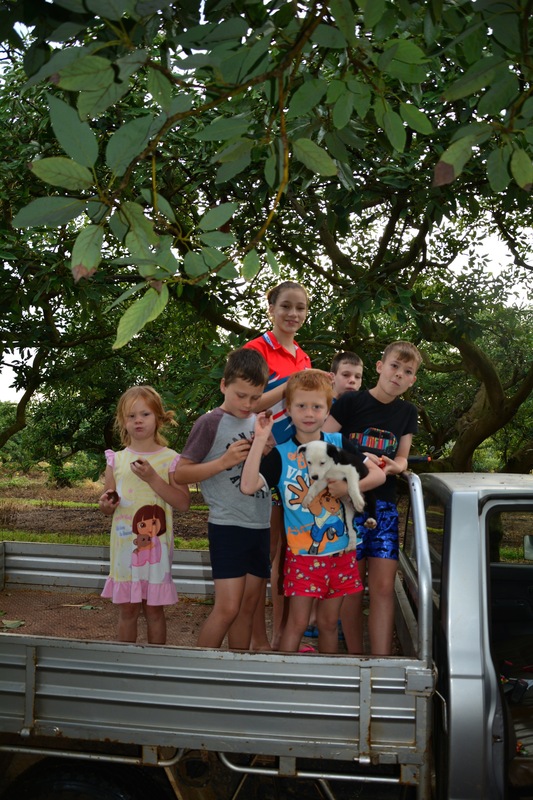 Off in the ute to search the Orchard for the Easter Bunny’s cleverly hidden stash! 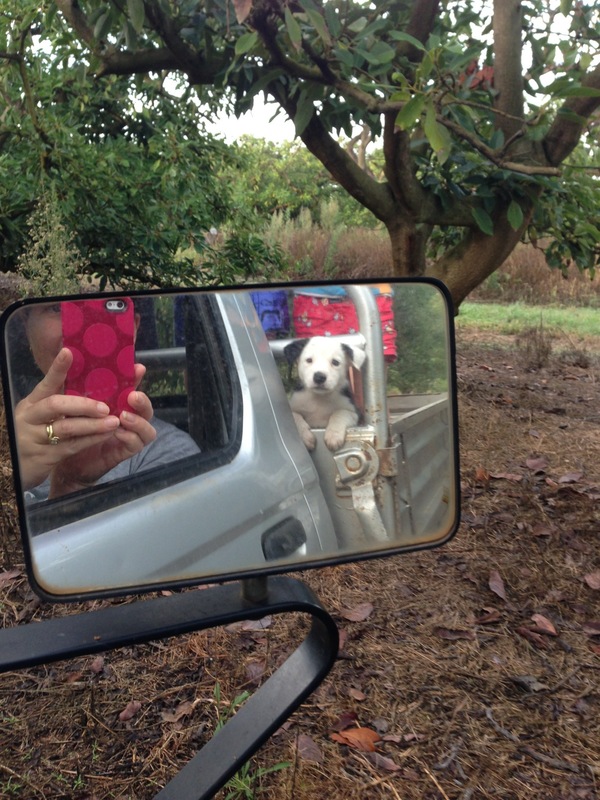 Little Beau had to come for his first ute ride! We found it at last! 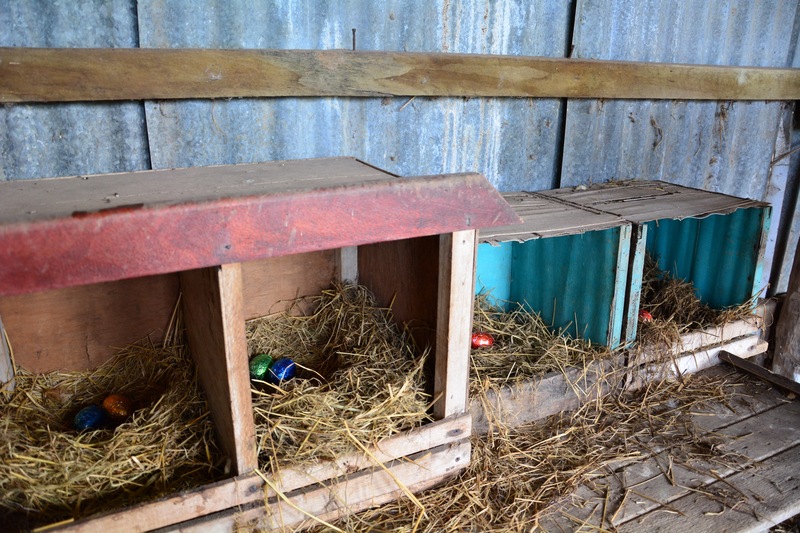 The chooks always lay chocolate eggs at Easter! 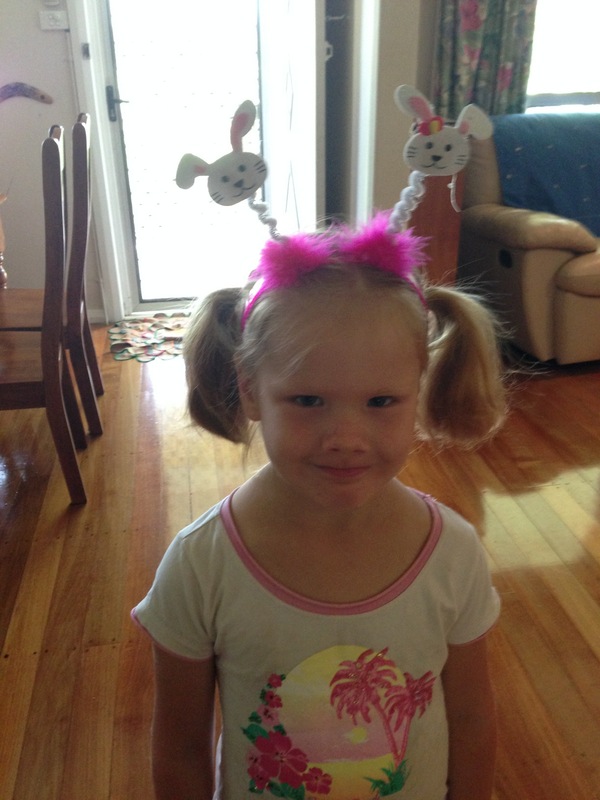 ‘I love the Easter Bunny’ she says!! We had some fruit and chocolate for breakfast and then bid farewell to the Tronson’s while we waited for Grandma and Uncle Jimbo to arrive for ‘Brunch’ of bacon and eggs, croissants, hash browns and of course more chocolate! 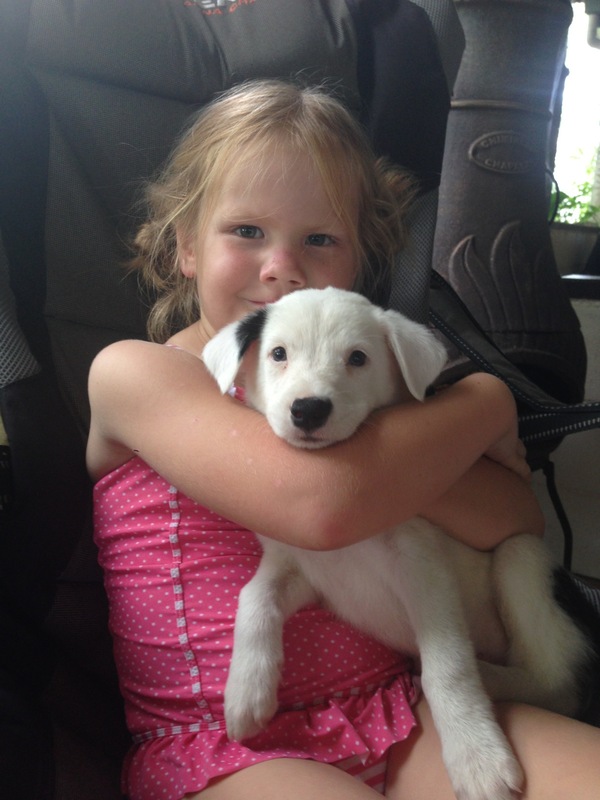 We had a lovely relaxing Sunday afternoon learning how to set up our new camper trailer and playing with the puppies. 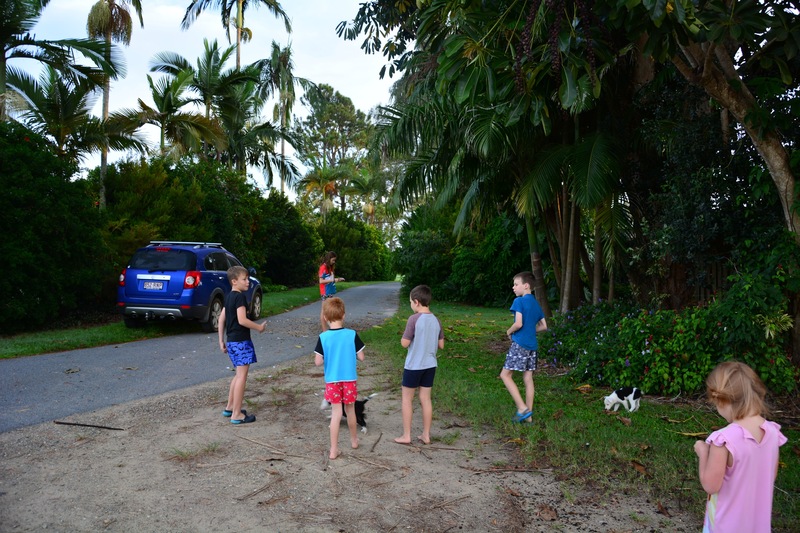 We finished off a great Easter weekend yesterday with a trip to Palm Cove – just over an hour away – to have lunch with the Kendall family who were camping there and have a swim at the beach. All in all, a very relaxing weekend filled with lots of fun, food and family – just how we like it! 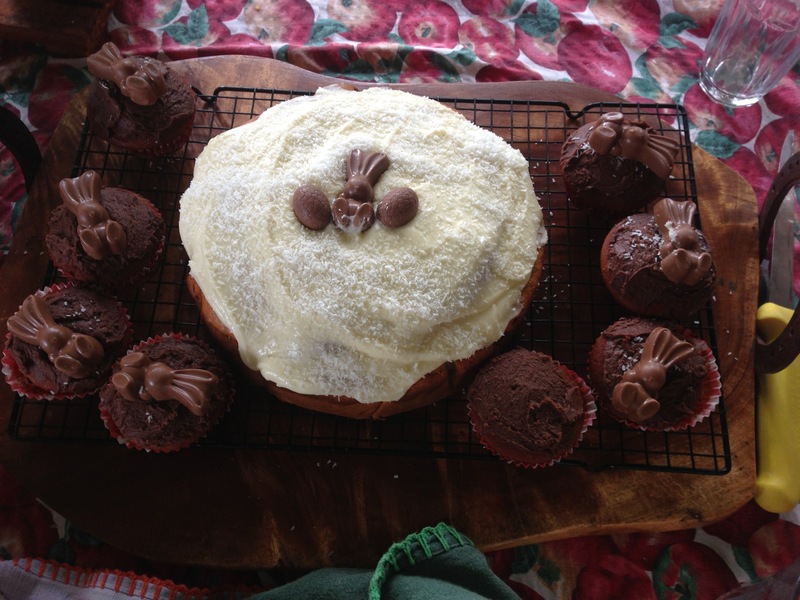 What did you get up to for Easter? Did you go camping? Did the Easter Bunny find you?? 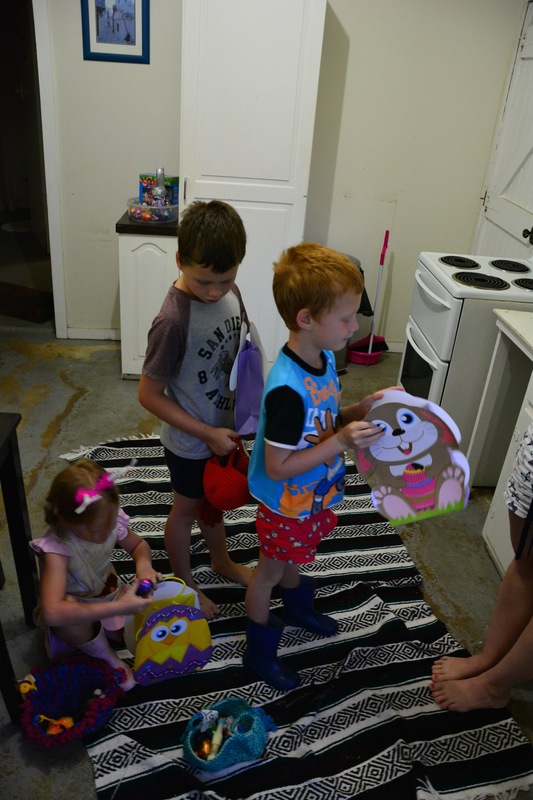 Easter 2014 – Spoilt Fealy Family! 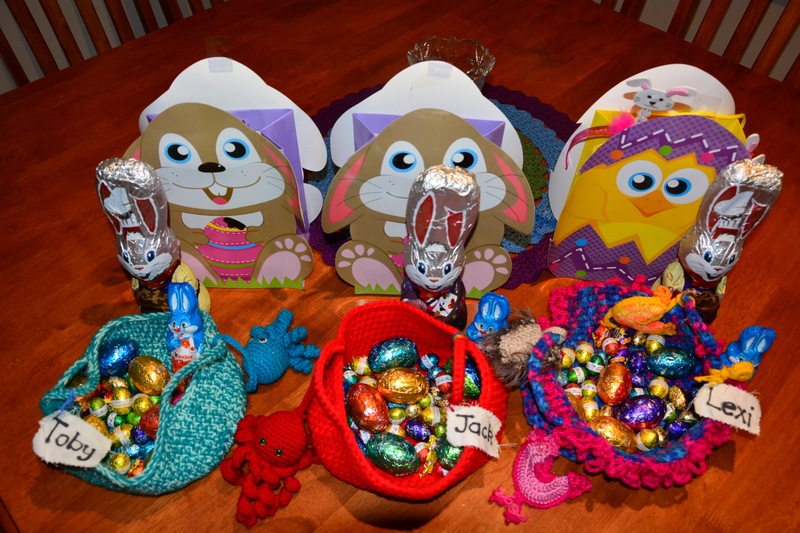 Hey Jess – great post and I must say your northern Easter bunny is very tricky!! Ours down here was possibly a bit dare I say “lazy” with most of the eggs just in plain site in the back yard!!!!! Lil however had a great time collecting them and then making a chocolate cake with great grandma!!! We also got to see Ben, Amy and Maddie and Jayden yesterday at Anthony and Tran’s BBQ before baby out at Springfield lakes!!!! So it was a great weekend with Mum, Dad and Grandma here!!! I must say we are all a bit lost today as it’s the first time in 4 weeks without any visitors!!!!! Can’t wait to hear when baby #4 arrives!!!! Take care! Sounds like an awesome weekend Carla! Love the ‘BBQ before baby’ idea! Good one Ant & Tran! Not long to go for them either!! 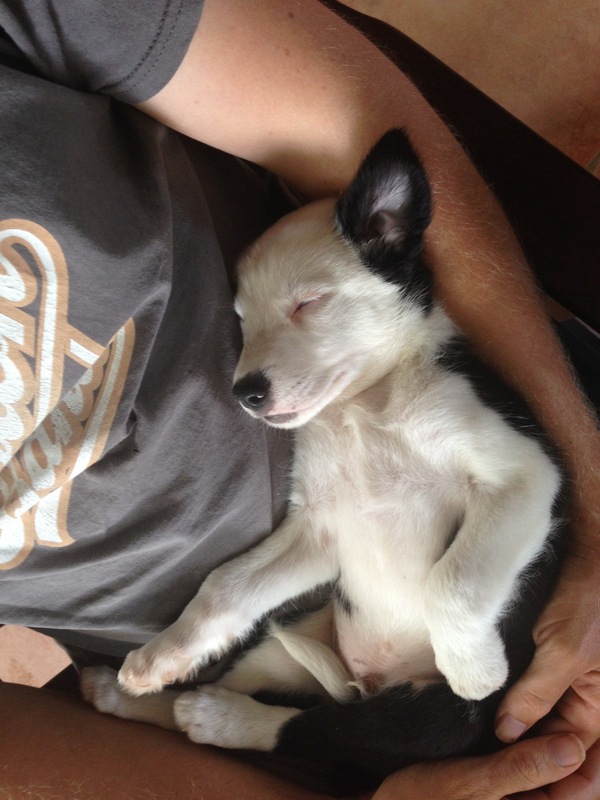 Oh my goodness that puppy is just too adorable.